1. The Home and Search tabs allow you to search across all data collections in Ancestry Library Edition, including the photos and maps records. b. 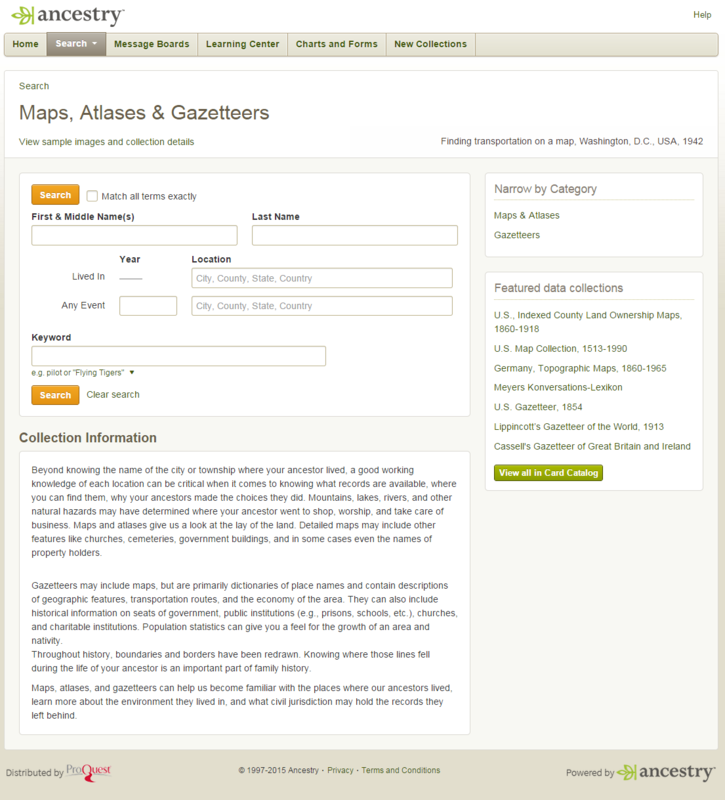 Maps, Atlases, & Gazetteers – from Australia, Europe, North and South America. 3. Using the Card Catalog link (Search drop-down menu or right link on Search page) or button (bottom right of Search page), filter the list of data collection to view only these records. 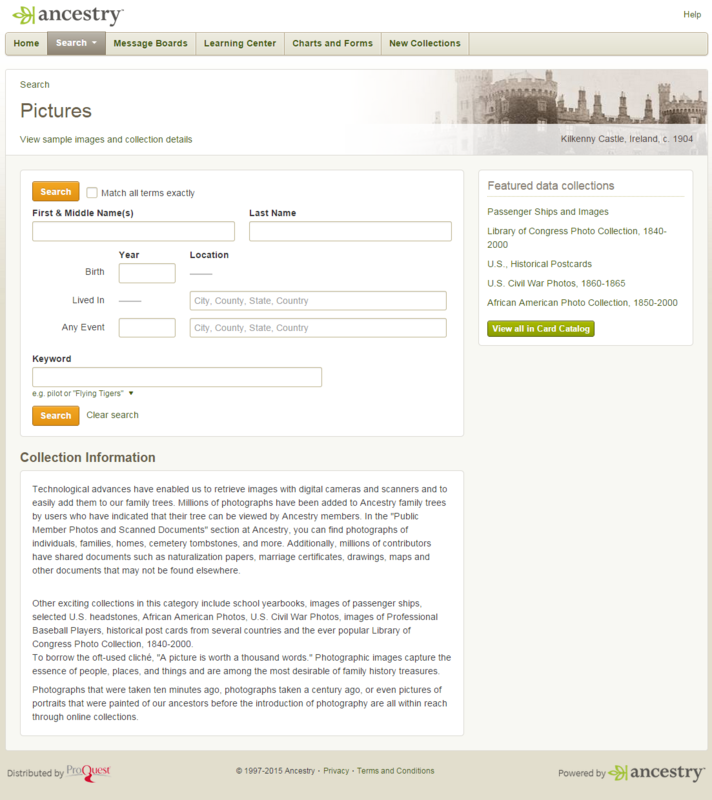 The content category of Photos & Maps is made up of two sub-categories: Photos and Maps, Atlases, & Gazetteers. See the two sections below for more information. Photographic images capture the essence of people, places, and things and are among the most desirable of family history treasures. Photographs that were taken ten minutes ago, photographs taken a century ago, or even pictures of portraits that were painted of our ancestors before the introduction of photography are all within reach through online collections. Throughout history, boundaries, and borders have been redrawn. Knowing where those lines fell during the life of your ancestors is an important part of family history. Maps, atlases, and gazetteers can help us become familiar with the places where our ancestors lived, learn more about the environment they lived in, and what civil jurisdiction may hold the records they left behind.